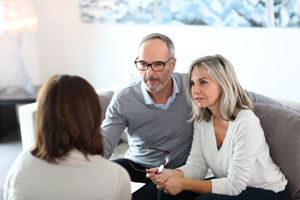 Deciding which type of divorce you and your spouse should choose can be overwhelming for many people. There are a lot of decisions to make that are going to have a large impact on your life and between that, and the high level of emotions that are taking place, it can be stressful. Though there are a number of divorce options, one popular type is known as collaborative divorce. A collaborative divorce works best with clients who are willing to work together, who are mature enough to put their emotions aside to cooperate, and those who work together to obtain creative results. This is very different than the adversarial process that you’ll face in the court system where each party presents their own side and the judge makes a decision based on the credibility of each litigant. In a collaborative divorce, the parties work together. They need to be mature enough to put their emotions aside and focus on the issues and take advantage of the team to come up with creative resolutions. The Salvo Law Firm, P.C. is made of effective and passionate attorneys serving New Jersey. If you need our legal services, contact our firm for a consultation today.